Netflix added seven million new customers in the three months to September, bringing its global total to more than 137 million. The stronger than expected growth - a record for the third quarter - sent shares up 11% in after-hours trading. The surge came as Netflix premiered a record amount of original programming, including new seasons of Orange Is The New Black and BoJack Horseman. Netflix is among the first of the major US tech firms to report its results. Investors were looking for signs of a rebound at the company after an unusually weak second quarter, which had fanned worries about the online streaming firm's future. Netflix faces increased competition from traditional media companies and giants such as Amazon and its costs have been growing as it spends more on its own material. The firm plans to spend as much as $8bn on content this year, with more than a quarter devoted to original programming. Analysts estimate that it added about 676 hours of original programming in the US in the most recent quarter - 135% more than in the same period last year. “I see no politics here, Nazeni Gharibyan has been misinformed. It is no politics, I am not a politician, I am not interested in politics. The important thing for me is the prosperity of Opera and Ballet Theatre,” Orbelyan said, adding that with unknown reason acting culture minister decided that his appointment was illegal. 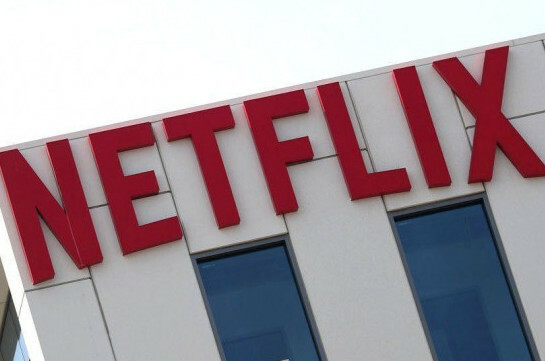 The world’s most successful streaming service sends some movies to theaters but has insisted on making them available on Netflix at the same time, or just a few weeks later. That has upset big movie chains, which refuse to show Netflix films and want a longer “window” of time to play films exclusively. Authorities say Eric Holder is the man wanted in connection with the shooting on Sunday, which was ruled a homicide.